A thorough power wash is essential for maintaining the cleanliness of your home, driveway and walkways. Many homeowners prefer to do this in the spring, but you might consider an additional wash in the fall as well. By keeping your landscape free of debris like broken branches and dead trees, you can better maintain the appearance of your property. It’s helpful to plant with each season in mind to ensure that your landscape looks great year-round. Spring bulbs and flowering trees add visual interest to your landscape at the start of the growing season. A lush lawn and pots of colorful annuals can provide eye-catching appeal in the summer. Think about late summer perennials and deciduous trees or shrubs that boast spectacular fall colors. Evergreens are classic winter plants, but you might also wish to plant trees like birch or interesting shrubs to draw the eye. To avoid flat looking landscaping, be sure to include vertical interest. Arches, even when bare during the winter season, will add visual interest to your front yard. Hanging plants, vines, climbing plants, trellises and even a decorative light post will ensure that your yard has a visual balance year-round. Plants aren’t the only method of achieving excellent curb appeal. Consider replacing a worn-out front walkway with elegant cobblestone or brick pavers. Replace mulch with stone or encircle trees and shrubs to achieve a more formal look for your property. Boulders can be strategically placed to draw the eye and provide further visual interest for your setting. If you have a slope that’s difficult to mow or a sunken section of landscaping that always seems to flood, consider a solution. A low-maintenance, terraced garden is ideal for sloping sections of land that are difficult to mow. On the other hand, there are no-mow grasses that can replace a traditional lawn. Installing adequate drainage for low-lying areas of your landscape can help reduce the flooding that occurs during stormy seasons. You can increase the year-round curb appeal of your home by maintaining its outward appearance. A pleasing door, elegant fixtures, contemporary railings, eye-catching shutters and stylized window boxes will go a long way to boost your curb appeal. For an additional wow factor, consider expanding your porch or replacing worn siding to improve the appearance of your home. 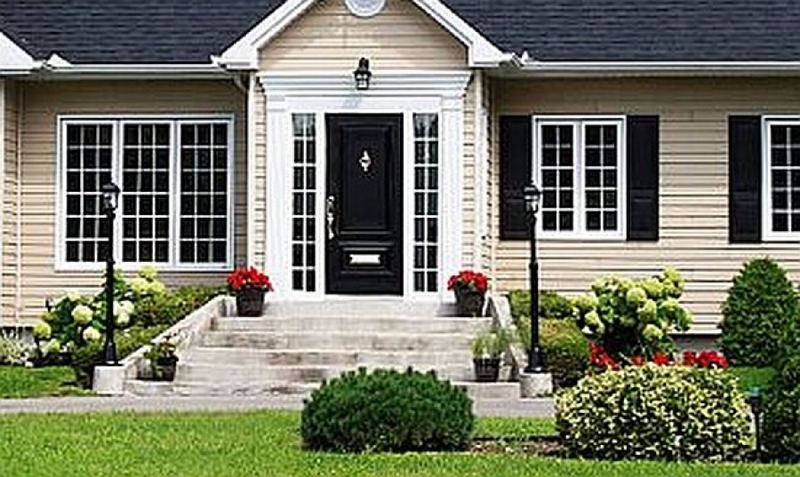 Great curb appeal begins with assessing your current setting. When you do install new features, it’s important to consider how they will appear during each season.